Changing the world one lover at a time. 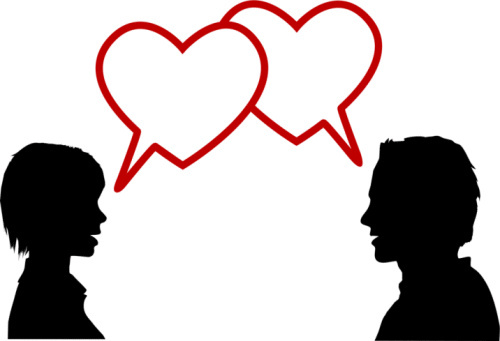 In 1995 Gary Chapman wrote a book called, “The Five Love Languages: How to Express Heartfelt Commitment to Your Mate.” The book became an instant success and couples all around the country began a quest to find their love language. Chapman discussed five ways, which he calls “love languages”, in which you express and experience love: Gifts, Words of Affirmation, Acts of Service, Physical Touch, and Quality Time. So why dedicate an entire post to “love languages?” It’s simple! Everyone loves differently and it’s extremely important to not only discover how your partner loves and wants to be loved, but to find out how you want to be loved. When you know how your partner prefers to be loved your relationship will grow and mature because you are fulfilling his/her needs. Which description below describes how you like to be loved? One of your deepest needs is the need to feel appreciated. Verbal compliments, words of appreciation, encouragement, kind and humble words are all ways to show love to you. You enjoy doing things TOGETHER! We aren’t talking about just sitting in front of the T.V. together but really giving each other undivided attention. This means looking at each other, talking to each other, sharing your life with your partner. You are happy to receive things from your loved ones. They don’t have to be expensive. The gift is a symbol of “s/he cares about me” and “s/he thinks of me”. For you, actions speak louder than words! You prefer your partner to do things for you such as cooking a meal, giving a massage, cleaning the room… You like your partner to initiate the acts of service and put efforts into doing them to show that s/he cares. You love to receive a hug, a kiss, squeezes on the shoulder, a pat on the back, a touch of the face, and an arm around the waist… Touches can be 10 times as powerful and comforting as any words! Now that you have identified your love language, find out your partner’s too! I have listed specific ways to display love based on your designated love language. Friends after Loverz: Is it Possible?